Over the years we’ve done extensive research into the fish and chip availability on the c2c route. We love our jobs and we’re regulars to Southend and the coast. So while we can’t pretend to write a definitive guide to fish and chips along the line, we can give you our own personal opinion of our favourites. You can agree, or not. But if you don’t, then be sure to send in your replacement for us to include next time! Reward yourself after that 1.34 mile stroll along the famous Southend Pier. The fish shop in the beach hut at the end of the pier is back. 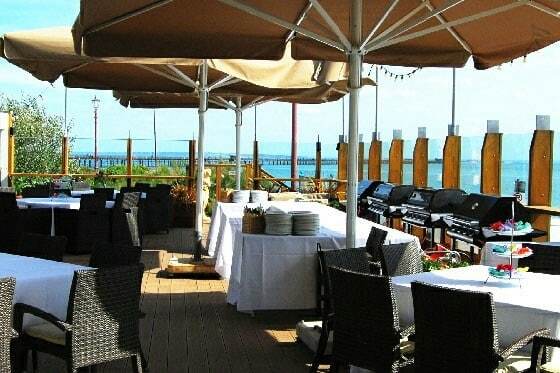 As well as being some of the most well-earned chips in Southend, they also come with a fantastic view over the sweeping Thames Estuary coastline. Walk it off or take the pier train back. Fresh, filling and when the locals tout it as the best in town, you know you’re onto a winner. It’s a bit of a hike from the beach (and the nearest station is Westcliff) but it’s worth the trek for the food. Located just across from Westcliff’s Palace Theatre it’s been keeping locals happy since 1967. Absolutely delicious. If you get off the train starving (as we always do) Van Looy’s is ideal. 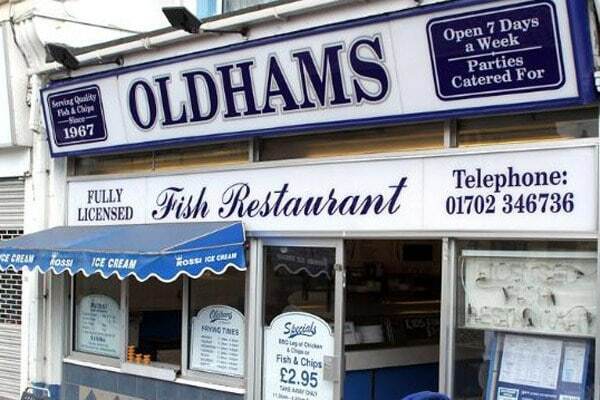 It’s right across the road from Southend Central and serves hearty fish and chips, just what you need for a busy day on the beach! 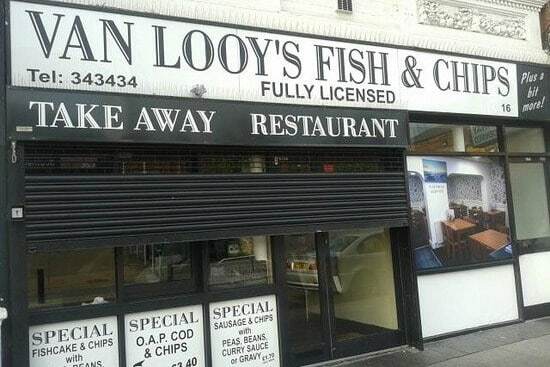 As well as the obligatory cod and mushy peas they’re also fully licensed, which gives them extra bonus points in our book. Do you want fish and chips in a fake castle, with turrets, on the seafront? You do? You’re in luck. 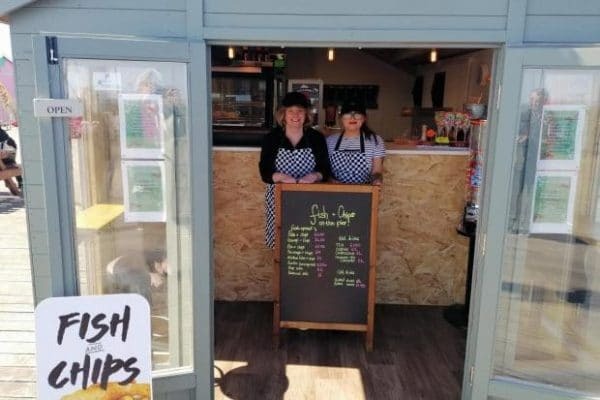 The most bizarre fish and chip shop this side of Skegness (probably) is housed opposite the beach, near the Kursaal entertainment centre and wedged between the amusement arcade that surrounds it. It’s bizarre location and bizarre architecture doesn’t hamper its success, as you’ll regularly find its queues stretching halfway down the Parade. A popular venue with locals and visitors alike, Fisherman’s Wharf has been in operation for over 30 years. It’s an easy choice for visitors as it’s right across from the pier and Adventure Island, next to the Pier Hill lifts. Recently granted planning permission for a full refurb, the slightly dated building is slated to transform into a new state of the art home in the next couple of years, more befitting it’s quality food. It’s as much about the venue as the food here at this pub. 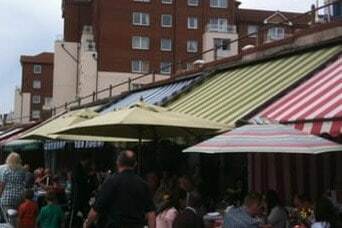 The huge terrace gets busy in summer, but as a result there’s a great buzz and atmosphere. Right on the sea wall it’s a great stop on a walk along the coast – or as a venue itself. 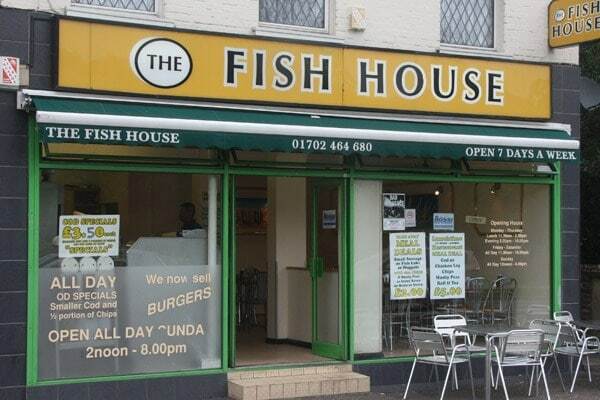 If you don’t want to choose from the range of fish dishes, there’s a cockle shed serving all your local delights. And they serve Rossi ice cream. Say no more. 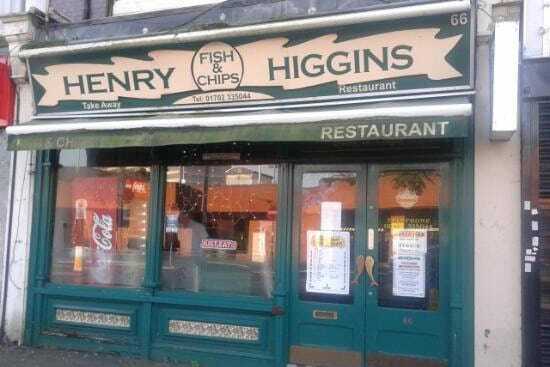 In the town, away from the crowds at the seaside is the Henry Higgins. What it lacks in style (it’s fair to say) it makes up for in taste, as the fish and chips are great. It’s been there a long while and has a steady following of regulars. If you’re in town shopping or passing through, you’ll do worse than fill up on fish here. 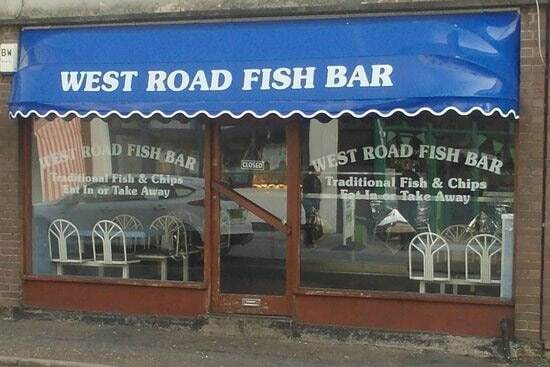 Just a short walk from the Shoeburyness seafront (and the same in the other direction from the train station) is the West Road Fish Bar. It’s what we’d call a functional place. There’s fish and chips, there’s seating. And if you’re hungry and tired that’s all you need. Don’t forget those mushy peas though. 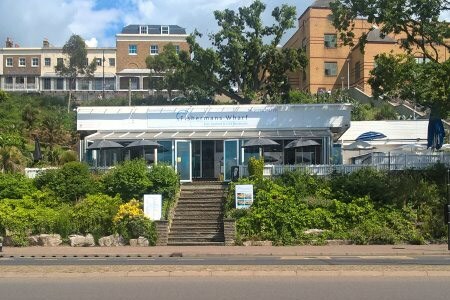 Sands Bistro is popular for weddings and events, thanks to panoramic views over the estuary and its open sun deck. It’s found in the heart of Southend, opposite the popular Three Shells Lagoon and right on the beach. If you like wine and a view with your fish and chips, then this is the place for you. 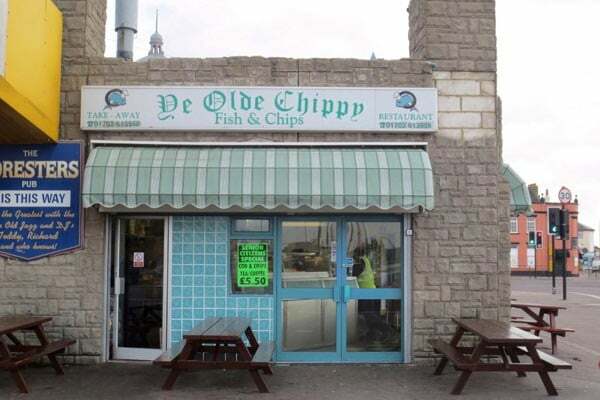 Situated away from bustle of the seaside, this chippy has been around for almost 30 years. 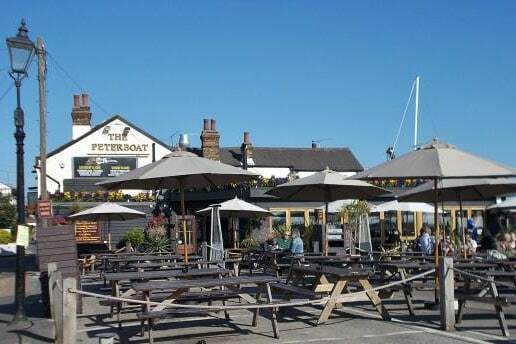 Due to its close proximity to Southend United’s ground Roots Hall (across the road) it’s a favourite of the United fans and is jam packed on match days.